If you frequently create a certain type of document, such as a monthly report, a sales forecast, or a presentation with a company logo, save it as a template so you can use that as your starting point instead of recreating the file from scratch each time you need it. Start with a document that you already created, a document you downloaded, or a new template you customized. 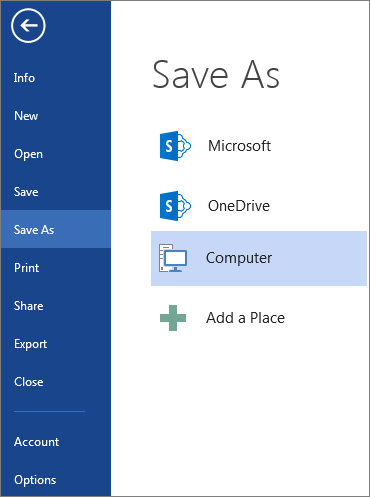 To save a file as a template, click File > Save As. Double-click Computer or, in Office 2016 programs, double-click This PC. Type a name for your template in the File name box. For a basic template, click the template item in the Save as type list. In Word for example, click Word Template. If your document contains macros, click Word Macro-Enabled Template. Office automatically goes to the Custom Office Templates folder. Tip: To change where your application automatically saves your templates, click File > Options > Save and type the folder and path you want to use in the Default personal templates location box. Any new templates you save will be stored in that folder, and when you click File > New > Personal, you'll see the templates in that folder. To update your template, open the file, make the changes you want, and then save the template. Double-click Computer or This PC. Browse to the Custom Office Templates folder that’s under My Documents. Click your template, and click Open. Make the changes you want, then save and close the template. To start a new file based on your template, click File > New > Custom, and click your template. Note: If you're using Office 2013, this button may say Personal instead of Custom. If you made templates in an earlier version of Office, you can still use them in Office 2013 and 2016. The first step is to move them into the Custom Office Templates folder so your application can find them. To move your templates quickly, use the Fix it tool. If you think of your current document as a template, you can save it with a different name to create a new document that's based on the current one. 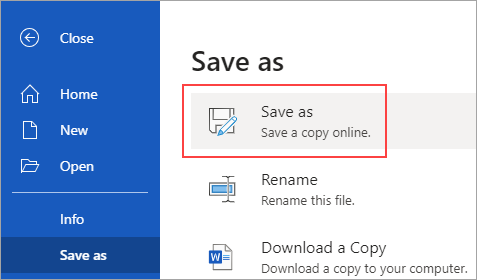 Whenever you want to create a document like that, you'll open your document in Word Online, go to File > Save As, and create a document that's a copy of the one you started with. On the other hand, if you're thinking of the kind of templates you see by going to File > New, then no: you can't create those in Word Online. 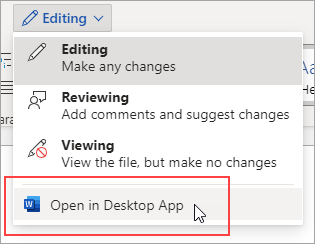 If you have the Word desktop application, use the Open in Word command in Word Online to open the document in Word on your desktop. From there, create a template. When you go to File > New in the Word desktop application, you'll be able to use your template for new documents. And if you store the documents online, you can edit them in Word Online.